Starting her career as a professional swimmer, Fee Beyer works on tech-based strength and conditioning programming for pro league clubs and gyms. Amongst others, she published a research about the use of new technologies in the German soccer league. 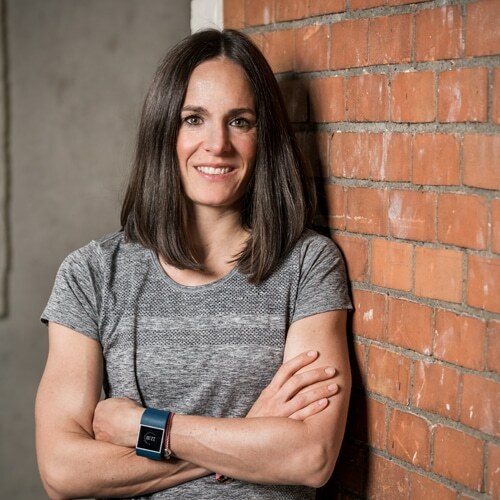 In 2016, she founded the Sports Technology Meetup Germany and she is the SportsTech coordinator for the German Startups Association (Bundesverband Deutscher Startups). Fee presents and hosts tech and sports conferences on a regular basis and has a broad knowledge and network in the sports startups industry. Fee holds different coaching qualifications with special emphasis on athletic performance training.